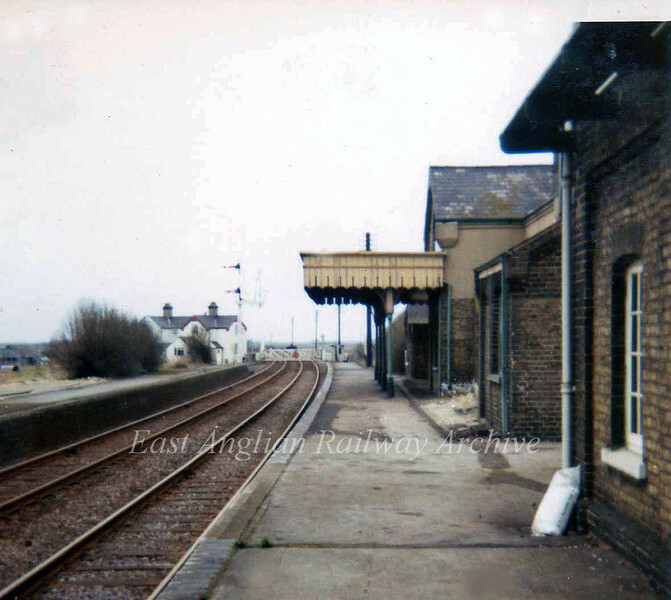 Fordham, Cambridgeshire, on the still open Ely to Chippenham Junction line facing Soham in April 1973. The manual crossing gates were removed on 28th October 1973 and replaced by AHB. To the right of the home and distant signals is the junction arm for the Mildenhall branch signal. The station house and platforms have since been demolished. The station closed to passenger traffic on 13th September 1965 and to goods on 12th September 1966.